.. Paul from Seamus Wong mailed me the dry vocal over. This has helped loads…. but to get it to sit is tough… lots and lots of automation of volume, subtle reverbs and delays..
not aided by my ears being used to the original. Always the way. Other than that , its pretty much there. 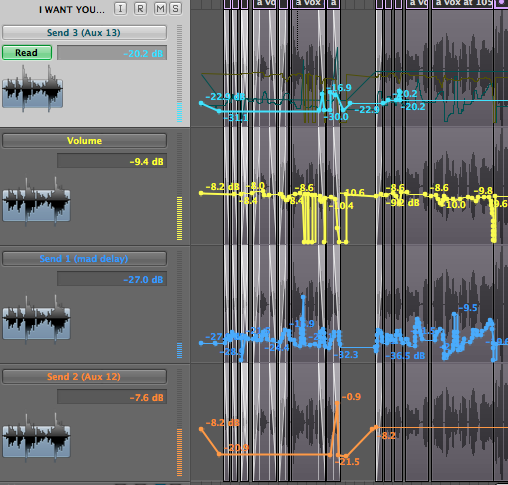 Will double check the vocal levels tomorrow then done.